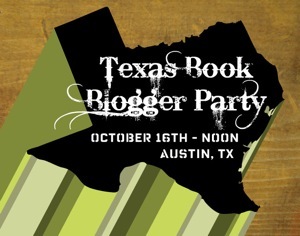 Before I go on about my current reads I have to mention the upcoming Texas Book Blogger gathering. I’m so excited. I’ve been blogging for six years and have yet to meet a book blog friend so this is super cool for me. As we have the Texas Book Festival coming up it’s a perfect way to meet bookish friends. For more details visit Amanda at The Zen Leaf. I live in Austin so if anyone needs any suggestions on restaurants, places to visit (after the Festival), etc. just let me know. Alright and now about the books I’m reading. First up is Farenheit 451 by Ray Bradbury. I am loving this book. I’m finding it strange, sad and scary. The words make the imagery come alive. Take this example: “Books bombarded his shoulders, his arms, his upturned face. A book lit, almost obediently, like a white pigeon, in his hands, wings fluttering.” Definitely a perfect read for Banned Book Week. The other book I’m greatly enjoying is The Leavenworth Case by Anna Katharine Green. She is credited with introducing the first American detective to readers. In this story a wealthy New York man is murdered in his home and signs strongly point to one of his nieces as being the culprit. It will be up to Detective Gryce to figure out whodunit and while this is very readable and makes you wonder how it will end I’m finding it interesting that the detective seems to be in the background. I feel as if I know every other character but him. Interesting. For something a bit different I’m dipping into Peace Is Every Step by Thich Nhat Hanh. How do we connect to the peace that is available in each moment even when you think you’ll lose your cool with a co-worker, a driver who cuts you off, etc. The meditations and observations may seem simple but the key is to put them into practice. I feel like I should be sipping tea and listening to some soft music when I’m reading this book. It makes you feel all cozy. Finally, I’m not sure what to think about Writing Jane Austen by Elizabeth Aston. The premise is clever, a writer who has writer’s block gets the opportunity of a lifetime – to complete an unfinished Austen manuscript, but my problem is that one character is really annoying me. Not the main character which is a good thing but her publisher is driving me crazy. I started this book before I went on vacation and haven’t picked it back up so maybe my reaction will be a bit different now. I don’t know. Who’s read it and what do you think, should I continue with it? So that’s it for now. Tomorrow I’m hoping to stop off at the library as I’ve got some books on hold. Yippee. Why does it seem like almost every book blogger I follow lives in Texas and is going to this?? Argh! Wish I could be there and meet up with you all! Wow, it’s weird to hear someone say that everyone they follow is a Texas blogger, because I know almost none of us! I think I know four at most, perhaps five? Crazy! So far there aren’t a lot of us signed up so thank you for spreading the word! I’ll actually be coming up Friday night and going salsa dancing with a friend. Cannot wait to meet everyone. I’m glad you’re enjoying Fanhrenheit 451, it’s fantastic. I heard good things about one of his other books too, but haven’t gotten around to reading anything else of his yet. I am so jealous I won’t get to meet up with you guys. Unfortunately, ohio isn’t anywhere close to Texas! I reviewed Fahrenheit 451 today–I loved it! Farenheit 451 is one of my favorite books! And how cool that you get to meet up with other Texas book bloggers. I’ve not met any other blogging friends in all these years either so I am jealous! Fahrenheit 451 is an all-time favorite of mine, so I’m glad you’re enjoying it so! Have fun at your blogger meet up–and a book festival too, you can’t miss. 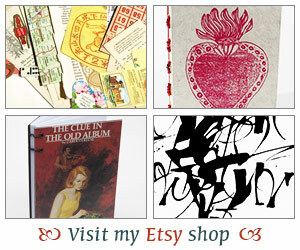 I love Fahrenheit 451, too and have also seen the movie and listened to the audio version! And I have that Anna Katherine Green book on my pile so I look forward to hearing what you think of it! Your books sound great! I hope you have so much fun at the book festival. The Texas Book Blogger gathering will be interesting! How exciting and yet potentially bizarre to meet people that you’ve become friends with through blogging. I wonder if they will be how you imagined them to be. Amanda – I didn’t think there were that many either! Haha… I hope we’ll get a great turnout. I’m already looking forward to it! Joanna – I’ve been reading little excerpts from it to my husband and mom. I’m so impressed with it! Stephanie – We are just so far away! I did see in my blog feeds that you reviewed the book. I can’t wait to read your thoughts on it! Stefanie – Too bad Minnesota is so far away too! I keep hearing of so many book bloggers meeting up and I’m thinking how can I not know anyone. ha. Can’t wait. Tiffany – Ah that’s a bummer. But, hey are you going to be able to sneak down for the festival or are you pretty swamped with school? Danielle – I definitely want to see the movie after I finish the book. I can’t imagine what it must be like. And, I think I’ll definitely have to make a point of reading more by Bradbury! Vasilly – It’s still a bit more than a month away but I’m already counting down to it! I wish I could fly down for the festival! I’d love the chance to hang out with you and Andi, but we will have just returned from a trip out to California and I won’t be able to squeeze another trip in so soon after. 🙁 Bummer! Maybe next year? I’ve never read Thich Nhat Hanh, but I think I should one day. I do like to read spiritual books now and then, and he’s an obvious author to go to. I’m glad you are enjoying his book! Dorothy W. – It’s really wonderful. It’s sort of reminding me of The Art of Happiness by the Dalai Lama.